French toast is one of my favorite things to eat – if not MY favorite – and because it’s so easy to make, it’s also one of my favorite breakfasts to prepare. 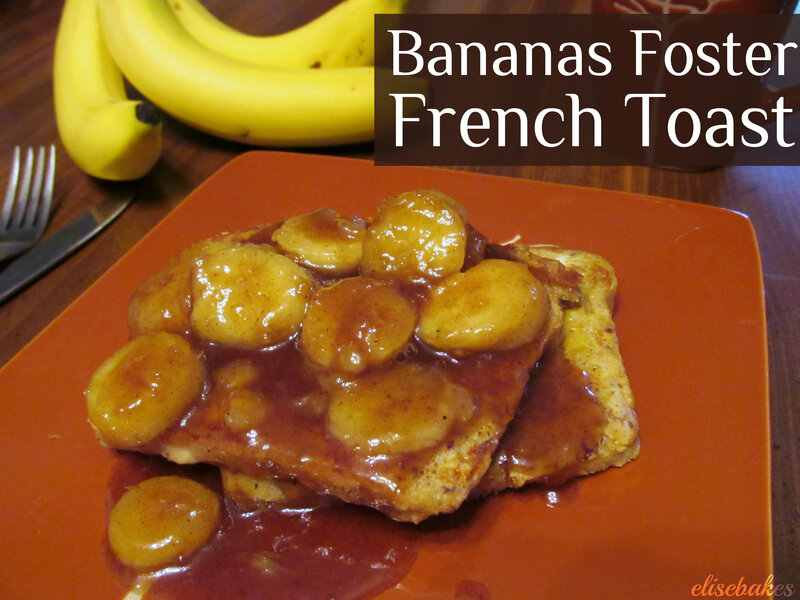 This bananas foster sauce was a completely wonderful addition to an already perfect breakfast meal. It was so sweet and flavorful and it made the whole kitchen smell absolutely delicious! I can see myself making it again to serve over ice cream. Mix eggs, almond milk. vanilla and cinnamon with a fork or whisk in a wide, shallow bowl. Add a small amount of butter to a large frying pan and heat on medium-high heat. Dip bread slices in egg mixture for at least 10 seconds on each side, then place on frying pan. Cook until bottom is golden brown, flip and repeat. Melt butter over low heat. Add brown sugar and stir until dissolved. Add maple syrup, cinnamon, nutmeg. allspice and salt and cook for three minutes. Bring it to a simmer, add the bananas and cook covered for five minutes. Something I haven’t eaten in such a long time. Looks delicious! That french toast looks delicious! I think I would save time and skip the banana foster sauce, though. um..yum!!!! this looks so good!! Oh my…that does look good! Thanks! I certainly enjoyed it! Thanks! I’ve always wanted to try lava cakes, but they look so intimidating. Maybe one day I’ll gather the courage and go for it!